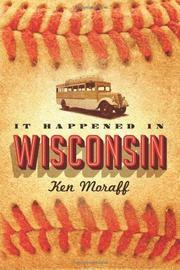 First-time novelist Moraff swings and occasionally hits in this homespun tale about a plucky baseball team during the Depression. This book won the 2013 Amazon Breakthrough award in general fiction. Ensconced in a nursing home and nearing the end of his life, the unnamed narrator, a former pitcher, recalls the Racine Robins, a ragtag team unified in their conviction that the common man deserves as much of a fair shake as a Wall Street millionaire. “We were working men,” he opines, “and we knew that luxury softens your resolve, that comfort weakens your character.” The Robins barnstorm through the Midwest, drumming up funds for struggling communities. A freak April snowstorm strands them at the John D. Rockefeller lodge in Wisconsin, where they meet Spencer, a wealthy blowhard who treats them all to lavish meals, attempting to influence them with his plutocratic views. He eventually wears down Mike (the narrator’s best friend and an incandescent talent on the ball field) by dangling promises of a glorious major league career as well as the hand of his own alluring daughter. Unsurprisingly, the Robins’ ultimate fates fail to match up to their youthful expectations. Moraff’s prose doles out its pleasures sporadically, as in a description of a meal at the Rockefeller: “The steaks were exhibits from some museum of butchery, trophies from a cattleman’s hall of fame. So juicy you could have squeezed them into a glass.” But too often the novel drifts aimlessly in its own warm bath of nostalgia, circling among a series of flashbacks that diffuse the impact of its class conflict. The narrator’s thwarted romance with a cafe waitress further thins the plot, leaving the sense that this novel might have worked better as a pared-down short story. A likable if rambling debut that never quite gels.